The BEST Golf and Lake View in Wild Pines at Bonita Bay Country Club!!! Entire Unit Completely Renovated!!! Amenities include Tennis Courts, Pool, Jacuzzi, Eighteen Miles of Bicycles Paths, Beautiful Beaches, Incredible Shopping and Restaurants. Thank you so much Lawrence. We had a wonderful time. We loved the kitchen as it was well equipped for cooking some meals in. Location was wonderful. Thank you also for making sure the bicycles had air in the tires....so nice of you to go the extra mile. We would recommend your place to others for sure. Thoroughly enjoyed our stay so much that we rented B 105 for 3 weeks in March of next year. I want to thank Lawrence M. for making it so easy to rent. He is available for any assistance one may need. Our overall experience was very positive. We had stayed at Wild Pines several years ago in a different but similar unit. The location is perfect for access to Highway 41 and the nearby shopping. 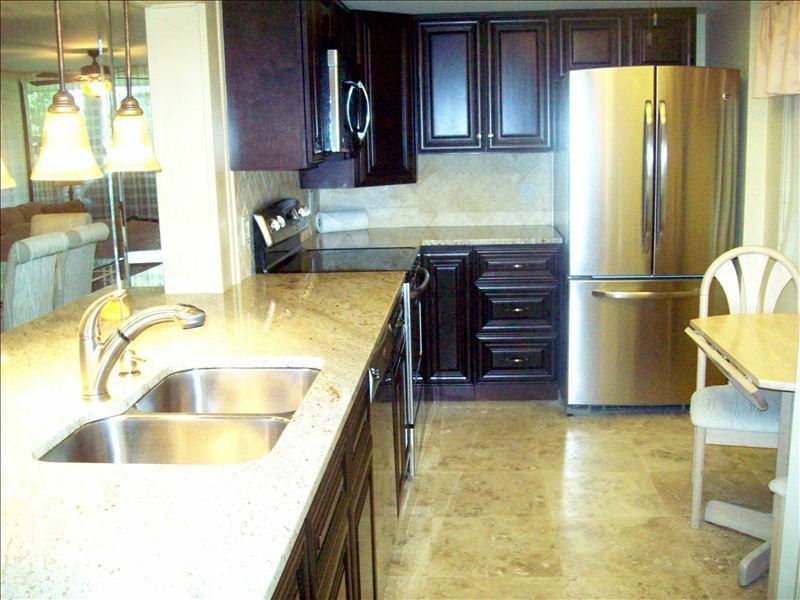 The layout of the 2br condo was very functional and the view across the golf view attractive. The only negative was the king bed in the master bedroom, which was too firm for our taste. I am pleased the guests enjoyed their stay including the view of both the golf course and lake. Unfortunately it is not possible to change out King size mattresses according to individual preferences. Experience has taught us the majority of guests prefer a firm mattress. I am sorry it wasn’t to their satisfaction . Great place, great location, great TV too. Perfect location. Second time visiting! The property was clean & the location is close to shopping, restaurants and main roads but far enough away that it is also quiet. The kitchen & baths were great. The broken screen door, the less than stellar amenities in the master bedroom, & the rusty bikes did not meet our expectations. That said, over all, we enjoyed our stay. Thanks! The master bedroom has a TV as well as a King Size Bed. It has beautiful wood floors a large dresser and two end tables. There is also a double closet. We are one of the few if it not the only owner that allow the renters to use our personal bicycles. Neither bike is rusty but may needed to be wiped down. They are kept outside in a protected area . Unfortunately the front screen door must have been broken by previous renter.